Vintage cars, live music, great company, awesome restaurants, breweries, cool merchandise and more…what a great way to spend a Saturday afternoon! Join us on August 18th for the 21st Annual Main Street Car Show. 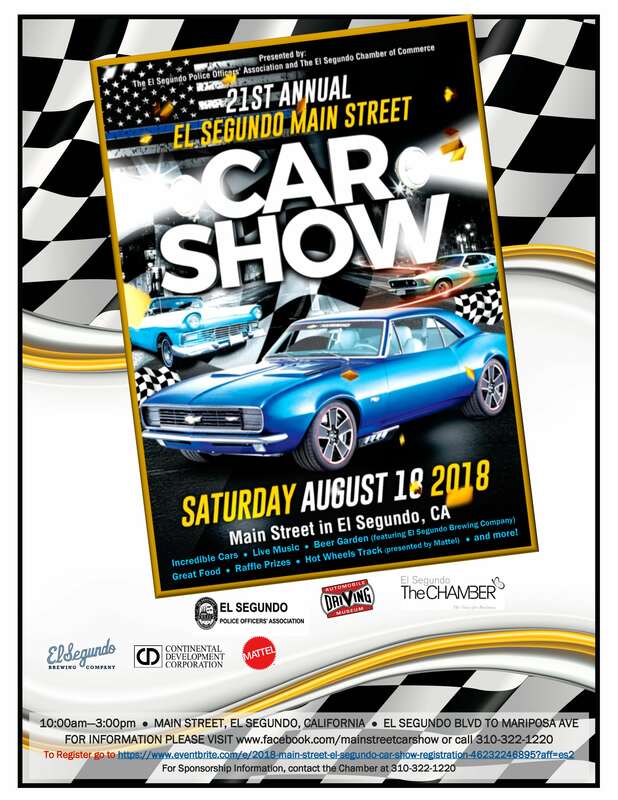 Classic cars, hot rods, sports cars, trucks, motorcycles and more will be lining the beautiful streets of Downtown El Segundo.